After the mighty influx of visitors during the Founder's Day weekend, tourism still continues, albeit on a smaller scale. On 31 May 2009 XXXII, our latest visitor arrived in the person of James Vlahos of Berkeley, California. 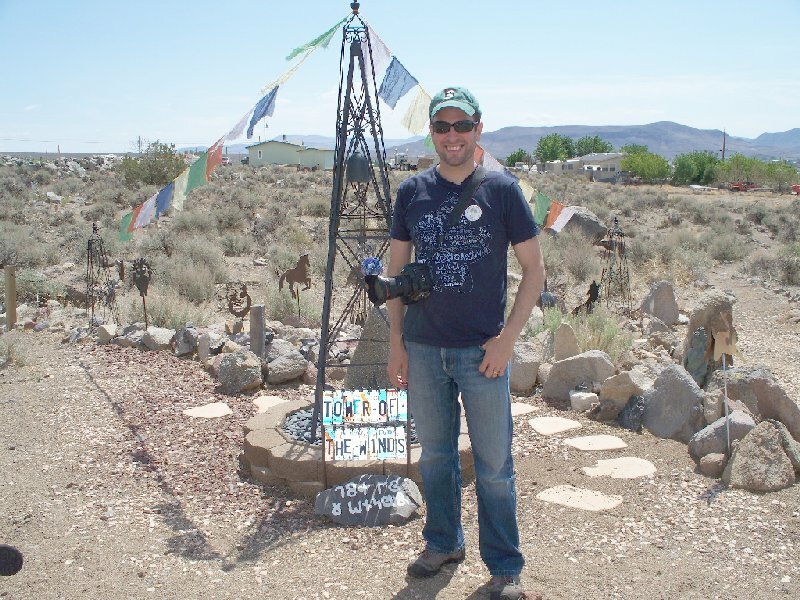 James is a contributing editor for National Geographic Adventure Magazine, and came to our nation to explore the idea of doing an article about Molossia. James originally arrived late in the afternoon of Saturday, May 30th, but the weather turned fowl and his visit had to be postponed. Sunday, May 31st, dawned bright and clear and James' visit kicked off early, at 8:39 AM MST - possibly our earliest tourist visit to date. Met by His Excellency, The President, James was escorted on a tour of our nation. 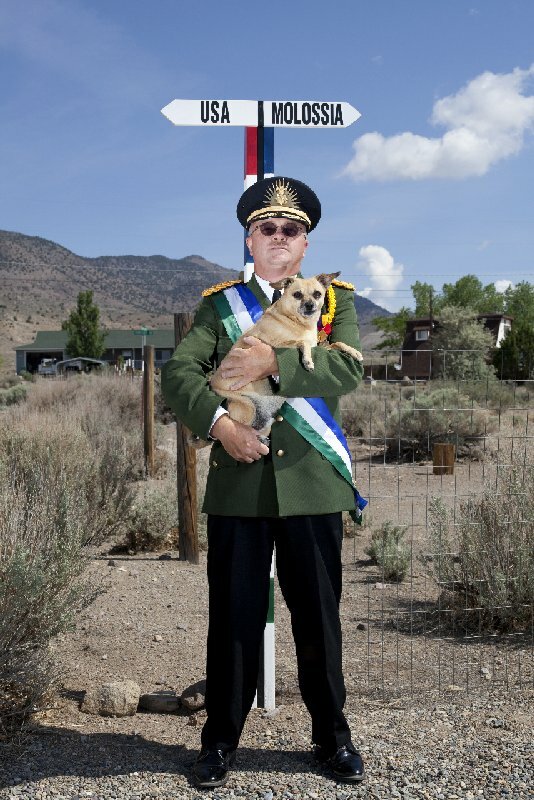 Following the tour, a significant amount of time was spent photographing His Excellency in various locales throughout Molossia. When this was completed, The President passed out "El Presidente" water, stamped James' passport and handed out souvenir coins and a button. The visit lasted about three hours, and a fine time was had by all. We wish James well on his voyage home and we look forward to hearing from him again soon. Not a Border Collie...a Border Chihuahua?